While the historicity of Jesus Christ still remains a matter of debate, many of those who believe he existed concede that he is unlikely to have looked like a white bearded male, as he is often portrayed in Western tradition. His Jewish origin, however, is disputed less often that his possible appearance. After its redevelopment, the former Al Ahmar (Red) Mosque received a new name, Khan Al Ahmar, in a move to distract attention from its significance to Muslims, the Palestinian online outlet The News stated. MOSCOW (Sputnik) - A number of high profile former politicians have signed a letter to European governments and the European Union, urging against accepting a US plan for the Middle East if it treats Palestine unfairly, the Guardian newspaper reported on Monday. Hamas, operating in the Gaza Strip, has called the new government "separatist" and again made it clear that it does not recognise its legitimacy. 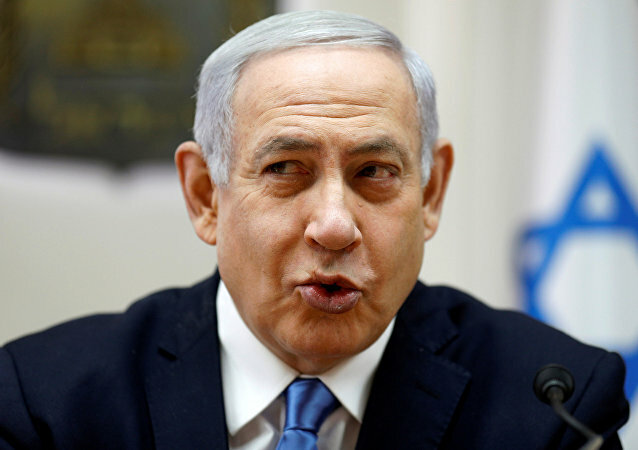 MOSCOW (Sputnik) - The likely victory of Israeli Prime Minister Benjamin Netanyahu's Likud party in recent parliamentary elections threatens the Palestinians and Syria, as the Jewish state is likely to continue expanding its territories, Secretary General of the Democratic Front for the Liberation of Palestine Nayef Hawatmeh has stated. 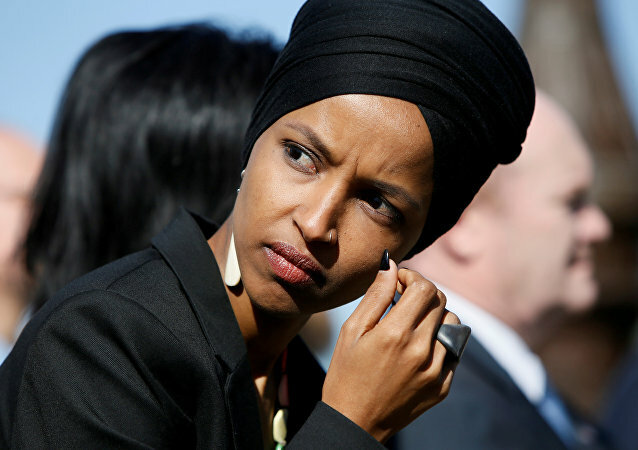 US President Donald Trump said on Saturday that Democrats have allowed anti-Semitism to “take root in their party and their country,” slamming Rep. Ilhan Omar’s comments on Israel. Ilhan Omar came under fire after saying that supporters of Israel were pushing for US politicians to declare their "allegiance" to the Jewish state..
Turkish Foreign Minister Mevlut Cavusoglu condemned what it called Israeli Prime Minister Benjamin Netanyahu’s “irresponsible” promise to annex settlements in the West Bank if re-elected, insisting that it would not change their territorial status. 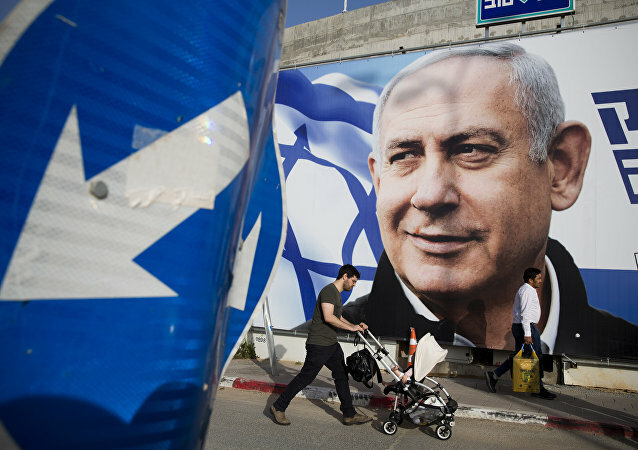 On Saturday, Prime Minister Benjamin Netanyahu announced that he was planning to extend Israeli sovereignty over settlements in the occupied West Bank territories if he wins another term in the upcoming elections, scheduled for 9 April. How Has US-Russia Relationship Been Impacted by RussiaGate? On this episode of Fault Lines, hosts Garland Nixon and Lee Stranahan discuss the current nature of the relationship between the United States and Russia and how RussiaGate hysteria in the US has changed its dynamics. Will geopolitical relations become even more adversarial, and how have views of the respective citizenries been altered? Earlier, the Israeli Defence Forces (IDF) reported air alerts in two areas in southern Israel. During the previous shelling, on the night of 31 March, militants from Gaza fired five rockets at Israel. GAZA (Sputnik) - Five Palestinian protesters were killed in clashes with Israeli soldiers on the Gaza Strip border on March 30, which marked a year since the start of mass protests dubbed the Great March of Return, spokesman for the Gaza Health Ministry Ashraf Qidra told Sputnik on Sunday. The organisers of the Palestinian protests dubbed the 'Great March of Return' plan to mark the first anniversary along the borders of the Gaza Strip on Saturday with large-scale rallies. The Israeli military reported that they had completed preparations for the Saturday events, reinforcing the southern district with forces and equipment. 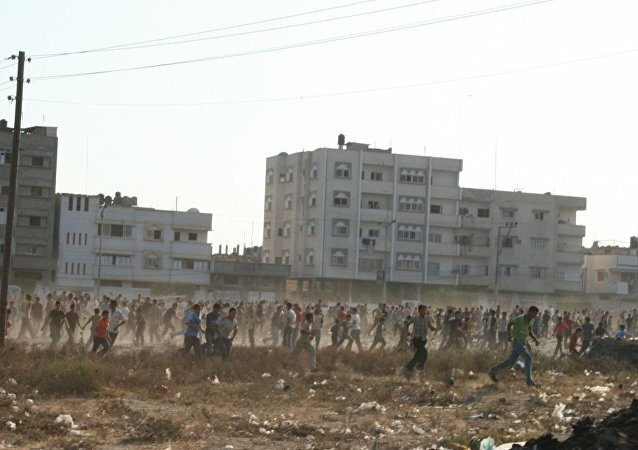 MOSCOW (Sputnik) - A Palestinian man died from a head wound received during border clashes on Friday between residents of the Gaza Strip and the Israeli military, Palestinian media reported citing the PA Health Ministry. 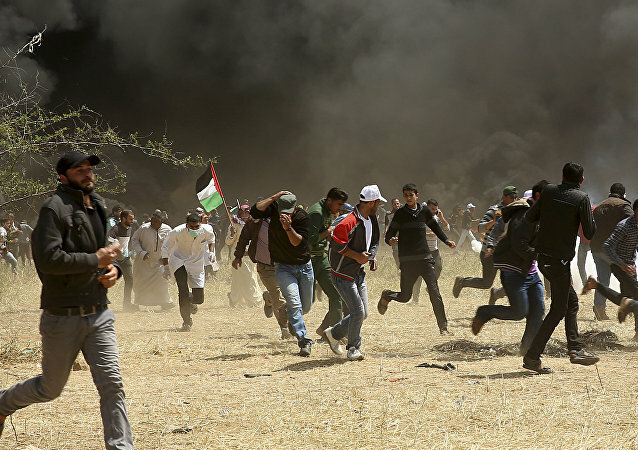 GAZA 28 (Sputnik) - The organisers of the Palestinian protests dubbed the Great March of Return announced on 28 March that they plan to mark the first anniversary of regular anti-Israeli protests along the borders of the Gaza Strip on March 30 with large-scale rallies. Sputnik's weekly photo gallery gives you a glimpse into what's been going on in different corners of the world during the past seven days. Will There Be ANY Accountability for the Main Promoters of RussiaGate? On this episode of Fault Lines, hosts Garland Nixon and Lee Stranahan talk about the main proponents of RussiaGate who aggressively fed false stories and narratives to the public. Will there be lasting career damage for some of the most egregious offenders, or is this mendacity acceptable in the mainstream media and our current political climate?